I was skeptical when I saw this movie poster in theaters. It couldn’t be as good as the game; the unique music, combat, environment, and storyline would never be translated well. But despite my initial negativity and reluctance to get my hopes up about yet another video game remake, I was pleasantly surprised by the end product. So that’s what Disney and Director Mike Newell of the 2010 movie had to work with. And in my opinion what they did with it was a complete success. They changed the plot a bit; they gave the Prince a name (Dastan) and turned him into an orphan who is adopted into the royal family. They also added more characters and eliminated the opening of the Hourglass in favor of better dialogue and deeper development of characters and thematic elements. Lack of sand zombies was my major complaint, but I think it was a bold move that paid off in better dialogue and more engaging characters that were still familiar from the game. Despite the lack of the traditional monsters, there is still plenty of combat. 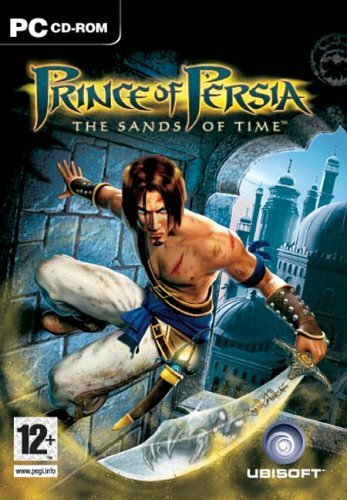 The Prince’s acrobatics are gravity-defying, and look like they were pulled straight from the newer Prince of Persia games, including the classic wall runs and jumps. The environments are very impressive and bring you back to the game as well. The music fit the movie but was nothing special compared to the game’s unique soundtrack. 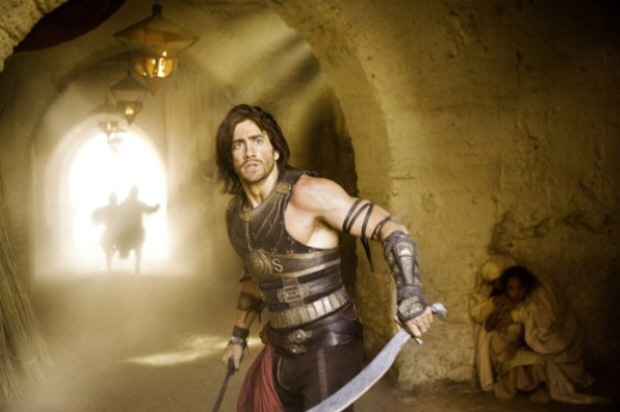 Prince Dastan and Princess Tamina. Overall it’s a great movie in its own right, with an interesting plot, engaging characters, and plenty of action. The secret to this movie’s success was that its creators remained true to the game and genre, taking the good elements and revamping some of the other stuff. They kept the same kind of music, were surprisingly accurate in recreating the Prince’s stunts, and actually improved the dynamic between the two main characters. Replaying the game reminded me how terrible the dialogue could be sometimes, but the movie upgraded the snarky, biting comments between the Prince and Princess. Finally, it seems the curse of video game-based movies has been lifted! 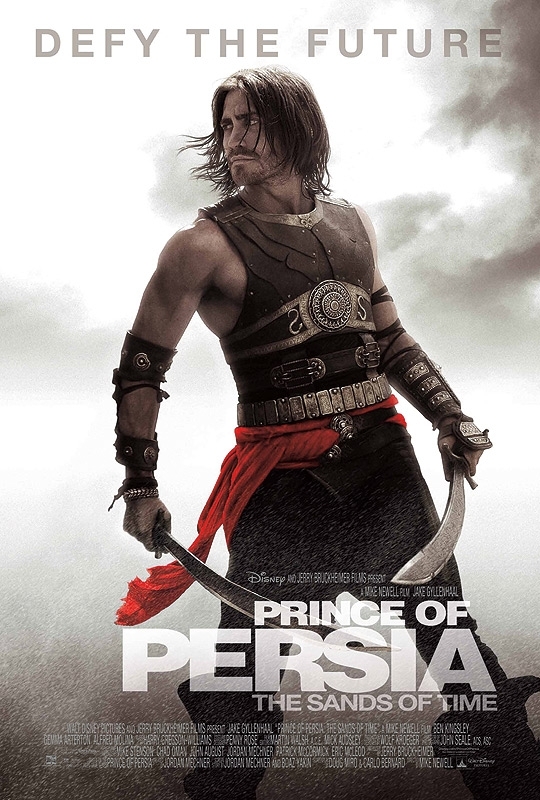 Silent Hill was the first video game-based movie that didn’t absolutely bomb (though this is a debatable point); one that many fans actually seemed to like, and now Prince of Persia has come along as the second. Only time will tell if other directors will follow this promising start to elevate this previously horrifying genre. So go check out this awesome retelling of Sands of Time and prepare to be amazed! 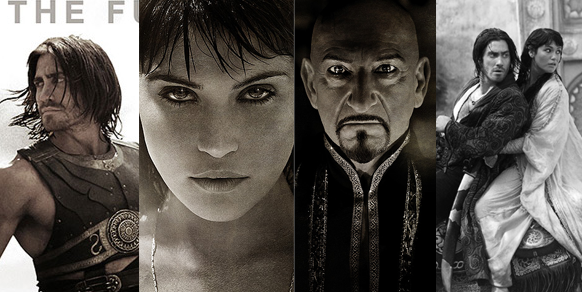 Movie posters featuring our main characters. Video Games Blogger Post: Sequels?